Friends of UNIFA is a fundraising campaign committee. Its mission is to raise funds and material support for UNIFA's educational and healthcare projects. Friends of UNIFA also assists UNIFA with capacity building, development, reaches out to professors, guest lecturers and delegations inviting them to visit, teach, and participate at UNIFA. Friends of UNIFA performs some social media and communications tasks for UNIFA, and reviews and processes grant requests from UNIFA. 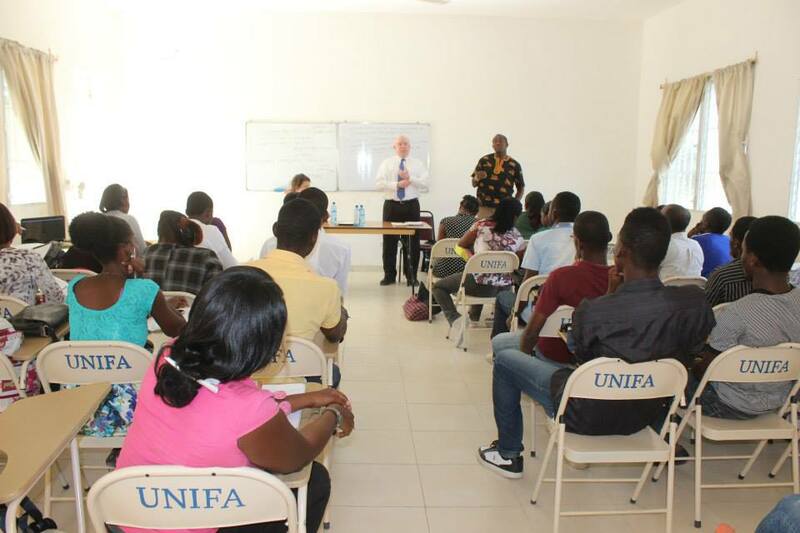 Attorney/Professor Bill Quigley (law professor from Loyola University New Orleans College of Law) teaches UNIFA law students. Members of Friends of UNIFA are volunteers. 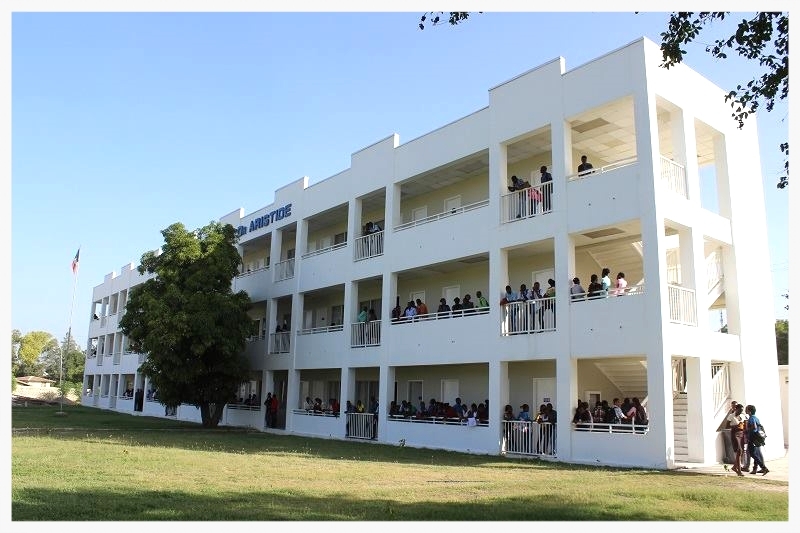 Funds raised go to UNIFA in Haiti to fund the projects described on this website. 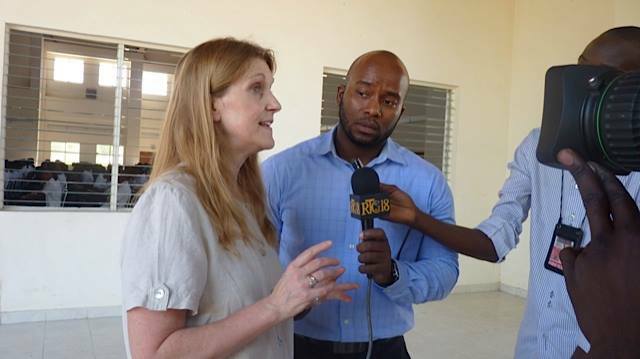 We have a new fiscal sponsor who is authorized by the Aristide Foundation for Democracy and its University of the Aristide Foundation (UNIFA) to raise funds on its behalf. Please see donation info in column on the right side of your screen under the DONATION button. 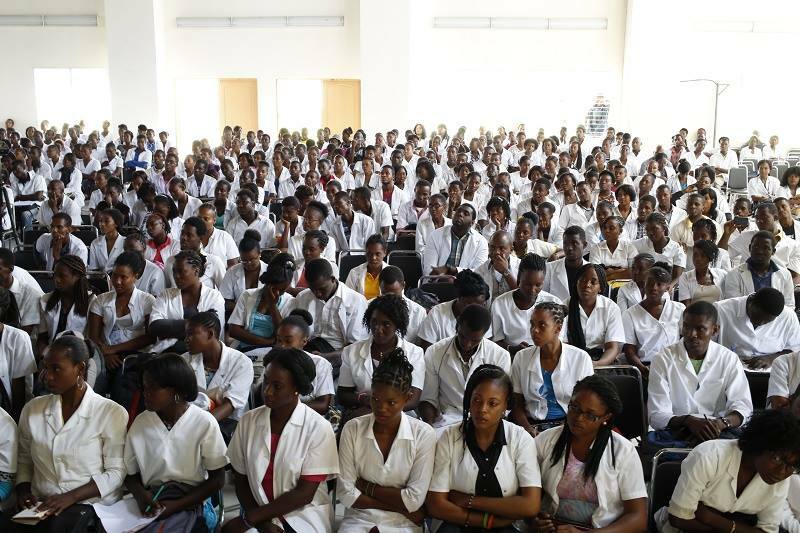 UNIFA medical students attend a lecture in UNIFA's auditorium.